While it is true that owning a firearm is part of our Constitutional right, it is critical you understand the extreme level of responsibility that comes with that right. To start off-- safe storage and access. Keeping your gun in a secure location can decrease the likelihood of it being stolen or accessed by someone who should not have access (small children or mentally unstable individuals, for example). Too often, crimes are committed by stolen guns, and it’s your responsibility as a gun owner to ensure your guns never fall into the wrong hands. Securing your firearm can include keeping it in a safe, taking it with you when you leave your home, trigger guard locks… the list goes on forever. Be well versed on state and federal laws. This especially relates to concealed handgun carriers and where you are permitted to carry. Your ability to locate, identify, and understand what places you are or are not permitted to have a firearm all wrap into your accountability as a responsible gun owner. I want to address a point that should be self-explanatory, but people today never fail to amaze me, so here it is: Never, under any circumstances, is it okay to be under the influence of drugs and/or alcohol and handle a firearm. I don’t care who you are or what your background is, you are asking for someone to get hurt. Moreover, your goal should always be the upmost discretion when you decide to carry or transport a firearm. You never want to attract any type of attention (negative or positive) that might make you a target. When you decide to “holster up” you are agreeing to be held to an entirely different and extreme level of accountability. The advantages of owning and carrying a firearm are only legitimatized if the owner is mature and responsible enough to handle it safely. I encourage you to fully understand the seriousness of that decision prior to purchasing a gun or earning a carry permit. Like the rest of us, it seems like I’m always on the run to go do something. Classes, work, friends, and some really late-night studying are all events that can make me an easy target if I’m not vigilant. By staying aware of my surroundings and how and if they change, I can decrease the likelihood of becoming a statistic. And the best news about this for us college kids? You can start right now at zero cost. Situational awareness is all about noticing your environment and if and how it changes. The most common example of when I practice this is when I get gas, especially if it’s at night. I’ll sit in my LOCKED car for just a minute and digest how my environment appears. I’ll ask myself questions like: Do I know where I am? Is this area well lit? Is there anyone else around? If so, am I comfortable with what they are doing or their appearance? Not only am I training my mind to search for potential hazards, but it also forces me to slow down and think twice about what I’m fixing to do. When it comes to operating a firearm safely, there is a lot more that goes into it than just picking it up and pulling the trigger! For this reason, make sure you are being taught by someone who has legitimate certifications, professional experience, and emphasizes safety as a top priority. Moreover, if you are partaking in an activity that MAKES holes (shooting), you gotta have something that PLUGS those holes too (gunshot wounds)! In the future, I will go into a lot more detail about WHY medical and firearms go hand in hand, but for now just remember that blood loss is the number one preventable cause of death. That’s right…PRE-VENT-A-BLE. That means if you carried a few basic pieces of medical equipment (like a tourniquet), and some Basic Trauma Training, that could be the difference life or death. I understand there’s a lot of information out there and sometimes it can become overwhelming; however, this is an industry you definitely do not want to cut corners in to save a few bucks. If you ever find yourself having trouble discerning who is “legitimate”, most NRA certified instructors, military, and law enforcement backgrounds are a few examples you can trust. I see people all the time purchase a firearm and never go to the range. Why? Because they don’t think they need to… Have you ever heard of how you train is how you play? Well, the same principle goes for shooting! If you always shoot at the same target, at the same speed, at the same magazine capacity, and the same level of intensity and stressors, of course you’re always going to shoot a bullseye! (Or maybe not…I don’t know your life😉) Regular practice taught by PROFESSIONALS is the key to becoming the most responsible and proficient firearms owner. 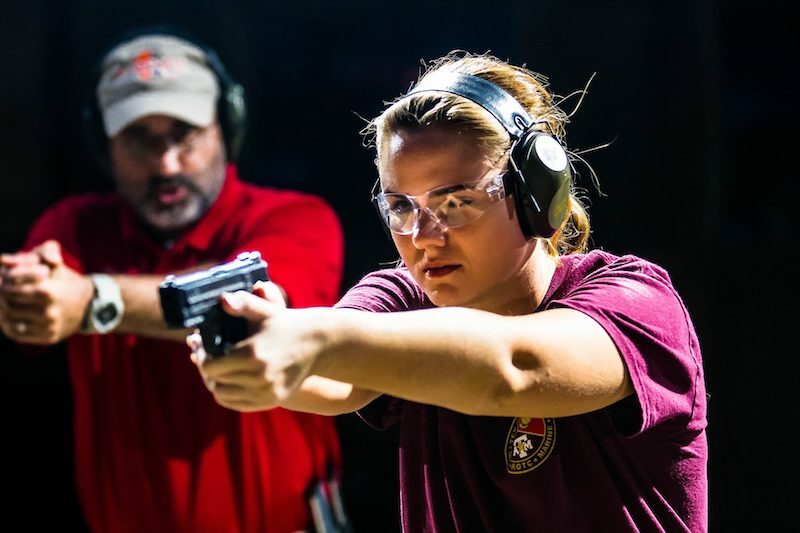 Courses such as Intuitive Defensive Shooting by Get Trained Be Ready is the perfect course that will continually challenge and expand your skills—and that’s exactly the type of continued training you want to register for! 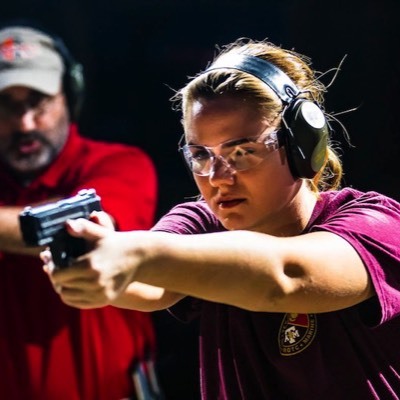 The IDS series is designed for students to leave with a confident understanding of defensive shooting fundamentals, “Counter Ambush” skills, and a reliable training methodology that allows them to continue developing their skills, on and off the range. And remember, GTBR is here for YOU. Our Team is passionate about what we teach and believe in the importance of education, training, and safety. Please never hesitate to call or email us with inquiries of any type.